Listed below are general navigation and shopping information questions and answers. We will be constantly updating and modifying our new web site, so please check back often. The term Genuine refers to an item that is officially manufactured by Land Rover. Q. 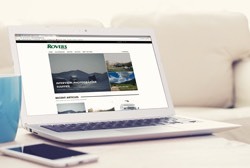 How do I use the new RoversNorth.com web site? A. You must first create an account here . After this step, you can then "login" and purchase parts. When you order please have your VIN (vehicle identification number) on hand and input this into the shopping cart additional text area. We will make every effort to supply you with correct parts, so please take a moment and look at our Vehicle Identification Pages ( Land Rover or Range Rover & Discovery ), so you can always have your Land Rover details ready. Q. How do I find parts for my Land Rover or specifically an oil filter for my Discovery II [for example]? A. You can do this several ways. Go to "Browse Categories > Land Rover Discovery II > Filters"
Use the Search button and type in "oil filter". You can also enter in the actual Land Rover and or Rovers North part number, this will give you results as well. Q. What is the fastest method for shipping parts to me? A. All internet orders are shipped with ground service by default. IF YOU NEED OVERNIGHT or 2-DAY AIR SHIPPING... Please call 1-800-403-7591. Q. How do I track my package? A. After you place an order a sales receipt is emailed to you. When the package has been shipped, another email will be sent with a tracking number and shipping method. Copy your tracking number from the email and go to our Order Tracking page to track your package. Q. How Do I Register for Club Event Sponsorship? A. Easy, just go to our Club Event Registration Page and fill out entirely and submit. We will inform you of your event support status. Q. I am the Parts Manager at an authorized Land Rover Dealership and need to purchase Genuine Classic Parts, how do I register and do this? A. You must first supply us with your authorized LRNA Dealer Number and submit this with all your pertinant contact information so we can properly register you. After you receive confirmation and a password, you can login to the website and order parts. Q. I have a detailed technical question and would like an illustrated helpful response, what is the best way? A. There are several ways to find out what you need. For a quick and easy response register and post your technical questions on our Rovers North BBS Forums . After you register, you can search there. This is where all technical subjects are discussed. The Rovers North Sales Team contributes to the Forum and can help answer any question you might have. The advantage of posting on the Forums is that your inquiry is viewed by our entire Technical Sales Team and all of our contributing Independent Land Rover Service Specialists. As a result, a response to your question is most likely to come quickly, and from a knowledgeable source. The beauty of this is you can participate on the Forum with a worldwide audience 24/7, 365 days a year so it fits your schedule. You can always call our Technical Sales Team at (802) 879-0032, who are available during our business hours: Mon-Fri: 8:00am-5:30pm; Sat: 8:30am-12:30pm; Eastern Standard Time (EST). We are here to help you. You can also contact us through our website and we will try to respond to the request in the order it was received.